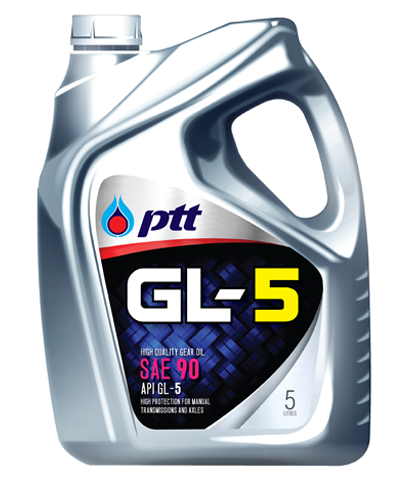 [PTT GL-5] น้ำมันเกียร์คุณภาพสูง เหมาะสำหรับระบบเกียร์ธรรมดาและเฟืองท้าย ของรถยนต์และรถบรรทุก High quality automotive gear oil. Recommended for manual transmissions and rear axles in passenger cars and trucks. • High quality multi-grade automotive gear oil. Recommended for manual transmissions and rear axles in passenger cars and trucks.